KBS 2TV drama "Go Back Couple" starring Lee Yi-kyung was a hit. "Go Back Couple" was topped viewership ratings at no. 1 (based on Nielsen Korea) and two consecutive weeks of content TV coverage at No. 1 ranking (GoodData Corporation). 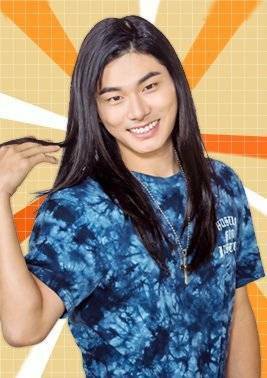 Lee Yi-kyung stole hearts in the role of Ko Dok-jae, a long-haired, simple engineering student. This character is a favorite of many men and women put together and it's being called Lee Yi-kyung's life character. Some say it's because he gave up being cool and maximized the character's appeal. Ko Dok-jae (Lee Yi-kyung) and Cheon Seol (Cho Hye-jung) always snipe at each other. It all began when Seol was drunk and thought Dok-jae's father's leather wallet was jerky and ripped it up with her teeth. Another time, drunk Seol broke Dok-jae's phone keypads. All the bickering between the two was an interesting element in the drama. Lee Yi-kyung starred in many hits such as "Descendants of the Sun" last year and this year's "Confidential Assignment". In the premiere of "Go Back Couple" in October, he said, "People around me say even the smallest role I play is a hit so they call me a lucky guy". "Lee Yi-kyung is a hit-maker"